Where are you working / studying presently? Before I started working, I completed my studies in Monash Unversity Malaysia and graduated with two Science Degrees namely Bachelor of Science (Biotechnology) and Bachelor of Science (Medical Bioscience). One week after attending my graduation ceremony on April 2017, I started working for Diagnostic System Malaysia Sdn Bhd. I am currently working as an Application Specialist in that company where the job scope includes mostly handling medical applications or machines. My job/position is a role in medical field which provides medical equipment diagnostics, product demonstrations/trainings, device demonstrations and installation of new medical products. Not only that, once I am competent enough to perform my job, I have to work closely with other medical professionals in both Private and Government hospitals that acquired my company's laboratory products. Meaning that I assist medical professionals in the development, testing and improve the products' system design. Sometimes I am also required to perform continuous medical education (CME) via presentations or conference. This job requires students with a degree in Medical Bioscience. Since I graduated with both Medical Bioscience and Biotechnology degrees, it is an advantage for me in doing my job due to vast laboratory experiences Monash University Malaysia has provided me throughout the course. Therefore, I am familiar with most of the medical terms and laboratory workflow. Part of the reason is that my parents did not agree with my decision to study in a local, government funded university near my hometown, Kota Kinabalu, Sabah. Their reason was I needed to go outside of Sabah, explore more and gain experiences, which I agreed. If not Overseas, west Malaysia will do. Therefore, I chose Monash University Malaysia. Another reason is that Monash University Malaysia is well known in Malaysia and its degree is internationally recognised. It has great facilities for hands on practicals too. Seniors from Sabah studying in Monash. My 4 years in the School of Science was amazing! The lecturers and seniors were very helpful. The lecturers always pushed us to study consistently not only for our grades but mainly for our jobs in the future. The teaching staff are able to improvise their teaching methods to help us better understand the unit course thus making the class more interactive and easy to understand. Some of them monitored students' performances in class through tests and assignments. When the time was right, they would see you personally to talk about problems in class and advice as well. Study life in Monash was even better with a group of friends. There is a saying, "if you want to go quickly, go alone. If you want to go far, go together". I came to Monash without any friends but after adapting to the study environment I got to know a lot of friends from different science courses, going through thick and thin together. The facilities were state of the art providing students insights on how the working environment and workflow would be like. The laboratory demos and lecturers did not fail to provide us information or principles behind the laboratory equipment. Other than that, facilities such as the cafeteria also did a great job in providing food for multicultural students, thus making them feel closer to home.Not to mention the addition of small cafes such as Boost Juice, Starbucks, and Toast which creates areas that are comfortable and enjoyable where students can relax and socialise, have group meetings or just sit quietly with coffee and a laptop. It was a very good idea that Monash decided to hold bazaars once in a while which promotes charity and goods mostly fashion, accessories, food and toys. Other than that, sports facilities were also well maintained providing a safe place for students to do their outdoor/indoor sports. During my 3rd and Final Year in Monash (2015 - 2016), I joined the Monash Cup (which was initially made to be a one time event only but due to its success and massive support from the students, it is now an annual event). At the end of the day, participating in the Monash Cup was one of the best decisions I made. I came to Monash with no friends at all. Overcoming that difficulty was not hard at all. Being interactive during laboratory and tutorial sessions was one of the ways of how I overcame that difficulty. 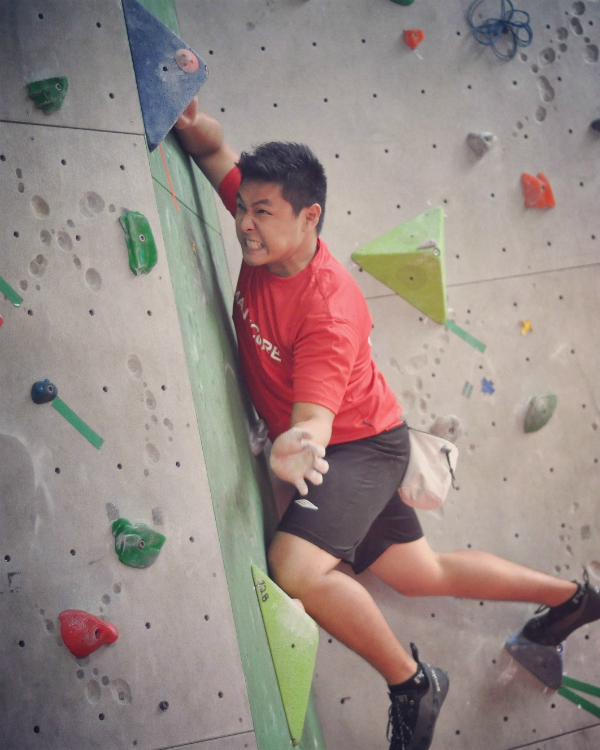 Another way was joining the rock climbing club which was the most active club in Monash. I made friends from different schools by joining that club. Final exam week is the most stressful time of the year for students. Three weeks before the final exams, I had study groups with my friends. When you attend study groups and discussions among group members, you won't be able to procrastinate, and will learn faster, obtain new perspectives, and also learn new study skills. Monash taught me how to build a network because doing things alone will not get the job done. We need friends or collaborators to reach a common goal. Secondly, time management is also important. Becoming organised and highly disciplined helped me in my time management. Next is resilience, where we need to deal well with stress and strains of university workload and respond to pressure and the demands of our daily life. With this quality, I am able to better deal with the workload at work. Yes. Besides reading and studying theories, participating in practicals improved my hands on experiences. Hands on experience is what employers are looking for. Monash science laboratories are equipped with high end equipment. Pick your course carefully. Ask lecturers or coursemates if you need help. Put effort in all of your courseworks so that you will get noticed. Get involved in sports or extra curricular activities so that you will learn new things and also a great way to build a network. Work on your time management too as this is important to balance out your study hours and completing assignments. Being able to finish 8 semesters of stressful final exams with friends that have gone through best and worse times together and graduate with a double degree.